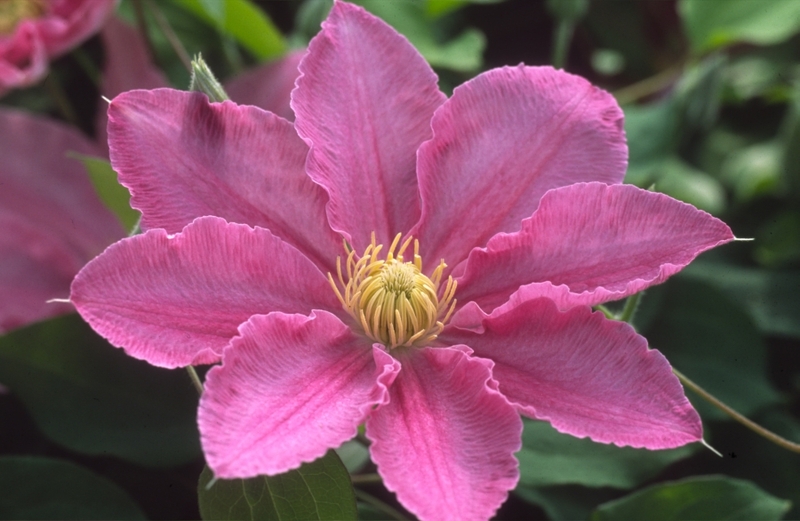 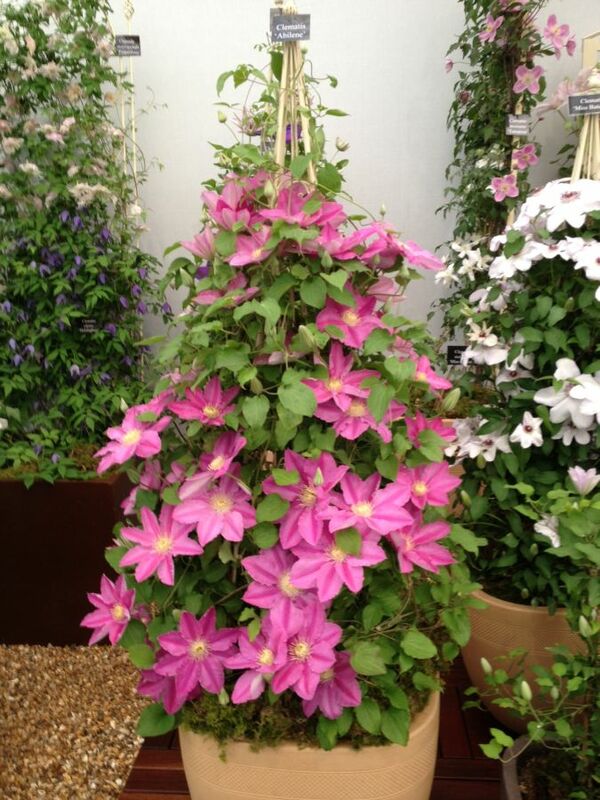 Brand new introduction to the nursery 'Abilene' from Raymond Evisons patio collection launched at Chelsea this year, these are low growing climbing clematis that are ideal for pots on the patio. 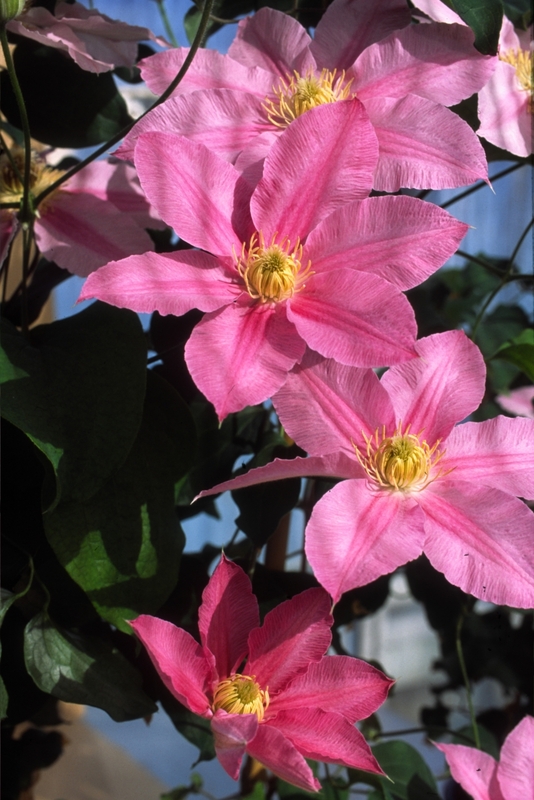 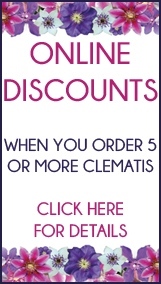 Plant in any aspect, very long flowering period. 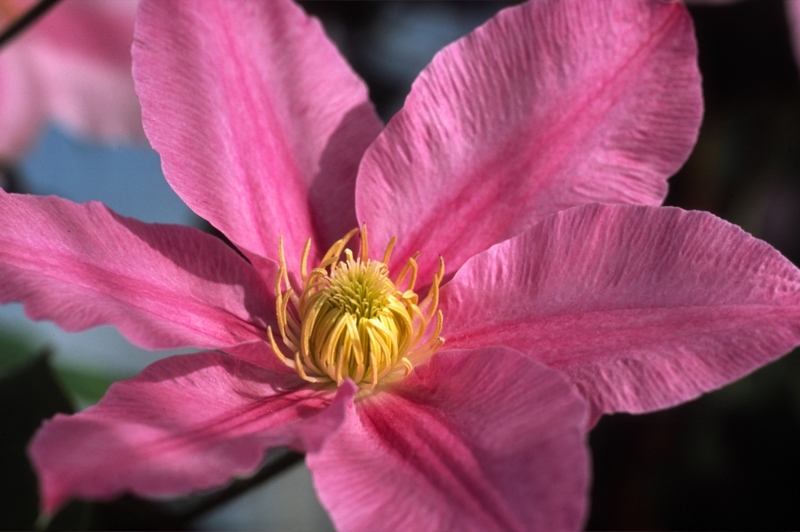 Abilene also flowers from the leaf axels in addition to the ends of the stems, ensuring maximum flower right to the floor. 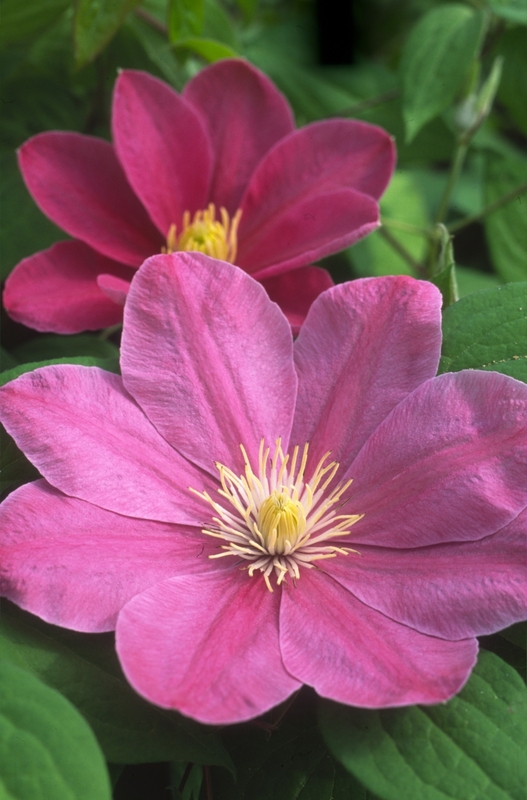 This whole boulevard collection have often been referred to as 'Top to Bottom' clematis because of the flowering from the leaf axels.